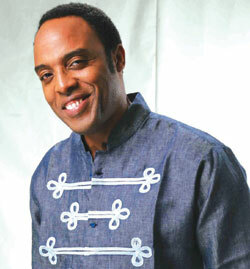 Kalu Ikeagwu needs no big introduction to many Nigerians. He was launched into the movie industry by his first soap Domino in 2005. Today, he has featured in movies too numerous to count and has added movie production to his profile. In this interview with FLORENCE AMAGIYA, he talks about his childhood, his family and how he came into the industry. Excerpts How did you get into the movie industry? My debut on TV was in 2005 with the popular Domino series. I was into soaps before venturing into the movie industry. What were you doing before Nollywood and acting? I was working as a computer analyst before joining Nollywood. Did you have challenges as a younger actor ? I think my main challenge was the switch from stage to television. On stage, one is trained to exaggerate one’s character; otherwise one’s means of communication becomes lost to the audience. Television on the other hand requires subtlety and understatement. One merely projects one’s thought and lets the camera do the rest of the work. The other challenging bit was the ‘start and stop’ syndrome where one has to repeat an action or words up to ten times while at the same time making it look seamless and natural. What’s the way forward for Nigeria’s movie industry called Nollywood? The way forward for the Nollywood industry I think, is assistance from the government. The potential this industry has for redeeming the tattered image of our country abroad cannot be over exaggerated, not to talk of its ability to bring in foreign investment, tourism and export our culture to other countries. I still don’t know why Nigeria is still over dependent on oil when the entertainment industry alone can earn not only more revenue than the oil sector but can create hundreds of thousands of jobs for the country as well.